A Year Round Soccer Training Academy Like No Other! Our vision for the Academy is to provide a fun soccer experience. We believe that training begins at a young age. Kids spend time learning to properly handle a soccer ball so that when they reach U8 Club Soccer at age 7 or 8 they have the skills to juggle, pass, and kick the ball and they are ready to apply these to competitive soccer. Players in our Academy will participate in weekly training learning the fundamentals of soccer. This allows players to be physically active while learning the fundamentals of soccer. Our target age group is K-3rd grade players for the academy. If younger or older please call to make sure it is the best fit. We offer the academy year-round and you can join at any point. We offer academies in 3-month sessions, practice two days a week for 1 hour each practice. No traveling. No pressure of having to be in a competitive team. What is available after the Academy? Once a session (3-month) ends the academy coach evaluate each player and then makes a recommendation for the player to stay in the academy for another session (3-months) to help develop their soccer skills or move on to a competitive team. If the player and/or parent does not wish to move onto the competitive team they are welcome to stay in the academy. 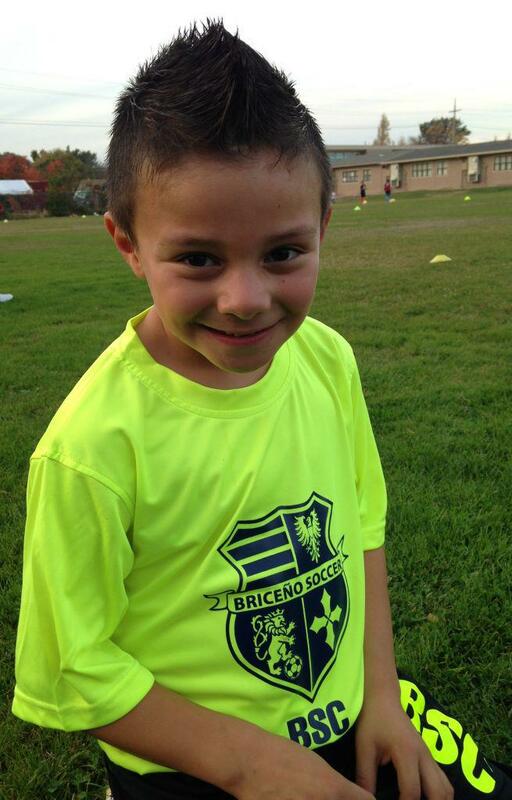 If you want the best soccer training for your child in an encouraging, supportive, and fun environment, join us. ©2019 Briceño Soccer Club / SportsEngine. All Rights Reserved.